EEK! How Long Have I Had Bed Bugs? “How long have these bed bugs been here?” If your NJ bed bug exterminator got a nickel every time he was asked this question, he’d likely be rich. And there’s more to the answer than peace-of-mind. Determining when a bed bug infestation began can help you determine fault, pursue litigation, and assign responsibility for treatment. Can I Determine When Bed Bugs Arrived? With long-term infestations (months to years), determining the length of infestation by observation is difficult. However, with shorter term infestations discovered within a couple of months, timing can be gauged fairly well. Examination and evidence could point to a time span that may determine the source of your infestation (e.g. hotel stay, etc.). Catch bed bug infestations early! Seek out the source of infestation for faster, easier eradication, and lower priced treatment. Contact your neighborhood NJ bed bug exterminator at Stern Environmental today. Are You Checking These Unusual Spots for Bed Bugs? You Should! Bed bugs are making their presence known more and more around the world. These wily pests are travel savvy and know how to get around, which means more places are prone to an infestation. 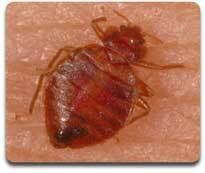 As noted, bed bugs are known travelers whether it’s on a plane, train, city bus, subway, taxi, or school bus. They hide in many places while in travel mode such as suitcases, totes, computer cases, socks, jackets, etc. If there’s a place to snuggle down in a dark cozy place to hide, bed bugs will find it. Help reduce the possibility of bed bugs in your home by sealing cracks and crevices, eliminating clutter, vacuuming often, and using protective mattress covers. Professional NJ pest control services have got your back when it comes to a bed bug infestation. With the latest equipment and treatment options, bed bugs don’t stand a chance. To schedule a free inspection with a NJ pest control specialist, contact Stern Environmental. We believe you should “get Stern” when it comes to getting bed bugs under control. Call us today. At Stern’s NYC pest control, we always want to stay one step ahead of bed bugs, and any way that we can help consumers or retailers is a bonus. To that end, the University of Minnesota has created a retailers guide that gives solid and useful information about fighting bed bugs, and it’s a “must read” for those in the hotel business, hospitals, office buildings, movie theaters and virtually any other place where large numbers of people gather or congregate in a residential or commercial setting. • A general history of bed bug infestations and where these pests can be found in both residential and retail establishments. • An explanation of how bed bugs actually get into a retail store setting. • Places in retail stores where they are most often found, highlighting both lower risk areas and higher risk areas. • Prevention and control methods which address clutter, product returns, and what employees and managers need to know if there are bed bug complaints. This section also addresses basic bed bug control and having a pest control company summoned if bed bugs are found. If you have any questions about bed bugs for your retail business or your residence, please contact us at Stern Environmental Group. 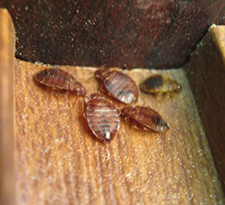 We are bed bug experts and have been serving the NYC and New Jersey areas for nearly 20 years. Bed bugs are tiny pests that can turn into a big pain when you have an infestation and they’re very difficult to get rid of without help from professional NJ pest control services. Their big pain is an even bigger problem when they bite people in order to feed. 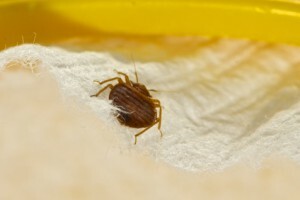 Keep these bed bug bite care tips in mind if you have these bloodsucking pests. If you have bed bug bites, wash them with clean water and soap to lower your risk of an infection. Washing these areas might also help ease itching. Bed bug bites may itch, but don’t scratch them. Doing so can lead to a skin infection that requires antibiotics. Instead, take steps to reduce itching, such as using an over-the-counter corticosteroid cream on bites. When you have bed bugs, it’s important to check for bites each day and keep a close eye on them. If you have a serious reaction to bed bug bites or if you develop a skin infection, get in touch with your doctor. Signs of an infection include redness and swelling around the bites. Your doctor can prescribe antibiotics to treat infections and prevent complications. If you have bed bugs, our NJ pest control experts can stop them from biting. Contact Stern Environmental for more information on our safe, nontoxic bed bug treatments. Bed bugs are the last thing that hotels, nursing homes and other community dwelling places want to see in their beds. Real-time bed bug monitoring is available from Stern Environmental Group, a NYC bed bug specialist company dedicated to controlling and exterminating bed bugs. Bed bugs are the size of a grain of rice and are causing a great deal of concern among travelers and residents. Traditionally, it has been challenging to monitor for bed bugs manually, resulting in higher employee service and removal costs because the bed bug infestation has been discovered after they’ve reproduced many times over. Stern’s new technology, the Real Time Monitoring (RTM) Device, can be used to monitor for bed bugs in multiple locations and will send real-time notifications as emails or SMS, which alert employees so they can remove them from bedding and rooms before they have chance to multiply. The small palm-sized device lures bed bugs into its chambers and captures continual images. It can be set to close once the bed bug is lured inside. Once detected, the images are sent wirelessly to an email address or text message. Contact NYC’s premier bed bug specialist to schedule a demonstration of this exciting Real Time Monitoring technology. Call Stern Environmental Group today, an innovative leader in commercial and residential bed bug treatment for New Jersey and the metropolitan New York City region.